ALL OVERSIZED BOXES “ARE REQUIRED” TO BE SHIPPED BY FREIGHT CARRIER DELIVERY METHOD. IF YOU REQUIRE DELIVERY INDOORS, PLEASE CHECK “LIFTGATE WITH INDOOR-DELIVERY SERVICE”. DUE TO THE “DELICATE NATURE” OF OVERSIZED FREIGHT, WE “DONT OFFER” AIR-EXPRESS DELIVERY FOR THIS ITEM! 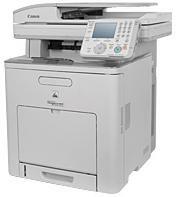 Color Print, Copy, Fax, Scan and Network with the Color imageCLASS MF9170c. The Canon Color imageCLASS MF9170c combines advanced technologies found in Canon high-end commercial copiers with the ease and flexibility of a compact device. Discover new heights for business photo-quality results and speed in the workplace with the MF9170c Color Laser Multifunction Printer. The innovative 3.5-inch color panel incorporates a TFT (Thin Film Transistor) display, as well as a user-friendly menu. The Easy-Scroll Wheel provides effortless control over any project. With the MF9170c, you now have more flexibility and options with removable storage solutions. The MF9170c features two convenient USB ports & Memory Card slots located on either side of the control panel. Users can directly scan and store documents in black-and-white or full color to a USB memory media device, or print documents out from the USB memory media device without ever having to connect to the network. Through the Direct Print functionality, printing documents is effortless with a range of USB memory drives, including USB Memory Stick, CompactFlash and SD cards, which can plug directly into the control panel. The MF9170c is bundled with standard features for out-of-the-box business productivity, including PCL5e/6 support, and advanced sending capabilities. The Canon imageCLASS MF9170c performs black-and-white and color printing and copying at the same speed of up to 22 pages-per-minute (ppm). With Canon's Quick First Print Technology, first copies will arrive in approximately 13 seconds. The Superior Color Imaging Technology featured in the MF9170c captures fine details with remarkable tone-on-tone clarity, helping images stay true to the original. Canon Pure Black Technology ensures the richest blacks by utilizing only the black toner instead of traditional methods of combining toner colors. For added flexibility and user convenience, the imageCLASS MF9170c helps increase productivity with a built-in Ethernet port for networking, and a USB 2.0 Hi-Speed interface, providing optimal speed when printing, scanning and faxing directly from a PC. 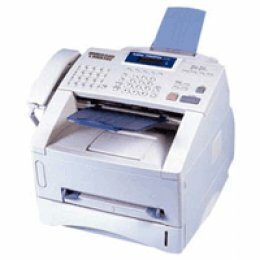 The MF9170c also incorporates a 33.6 Kbps Super G3 fax, which includes 200 speed-dial locations, up to 1,000-page memory capacity and one hour of memory back-up.